Volunteering on a Care Project in Europe is a wonderful opportunity to help others while immersing yourself in a culture different from your own. Care projects give you the opportunity to take an active role in the lives of many children, ranging in age from small babies to teenagers. There are a number of different Care placements available in Europe, depending on your interests and abilities. 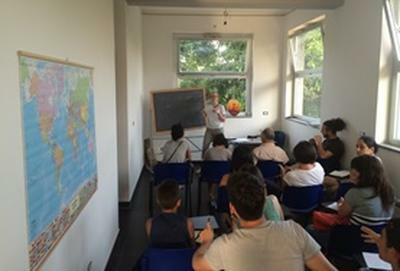 You don’t need to have special training or a degree in order to participate in these European Care projects; all that is required is a caring nature and the motivation to help others. The local staff working at these European care centres are overworked and the help that the Projects Abroad volunteers offer is invaluable. 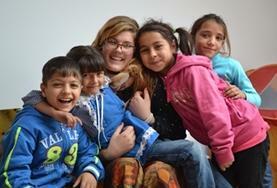 Volunteering with abandoned children in Europe is a challenging and rewarding experience. You will spend your time and energy making a real difference in the day-to-day lives of these children, interacting with them, providing emotional support and giving them individual attention. Activities include playing games; listening to music; involving them in sport, dance or drama; and teaching some of the children basic conversational English. Other duties may include cooking and general household chores. Care volunteers in Europe also have the opportunity to work with children and adults with special needs, including mental and/or physical disabilities. These children and adults require more attention and assistance in coping with their disabilities on a daily basis. Our special needs placements are based in day care centres or homes, and while they may be demanding, they are also incredibly worthwhile. There are plenty of children in need of attention at day care centres in Romania, where volunteers have the chance to take part in a range of fun activities with them. Due to staffing limitations, volunteers are needed to pick up the slack and assist where they can. This is the perfect option for dedicated volunteers who have plenty of energy and enthusiasm. Volunteers have the chance to make a valuable, positive impact in the lives of desperate refugees and migrants who have arrived in Europe. Government agencies and support organisations are overwhelmed by the sheer scale of this humanitarian crisis, and there are many people in great need of help. You have the opportunity to assist in many ways, from providing first-response medical aid, to helping with translation work, psychological support, and legal and human rights matters. These Care placements in Europe are incredibly worthwhile, and give you the chance to invest your time, energy and skills to make a real positive impact on people’s lives. Our comprehensive Care Management plans ensure that we continue to work towards long-term development goals on the continent. Italy Join our Refugee Project and provide valuable care to refugees and migrants living in southern Italy. There is a wide scope for volunteers to get involved, from language classes to cultural workshops.